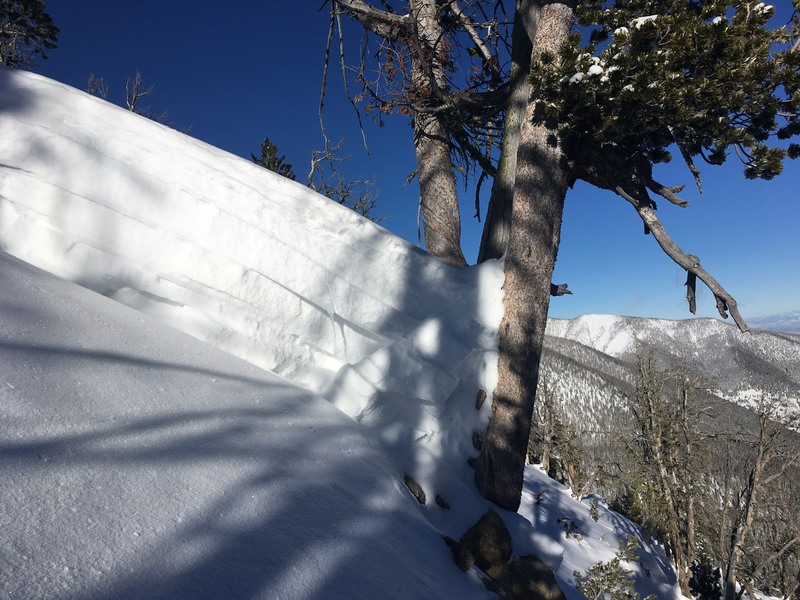 On January 25, 2019 four skiers who were staying at Bell Lake Yurt in the Tobacco Root Mountains were caught in an avalanche. One skier was seriously injured and one was killed. At 1315 hours they were ascending a slope on skis with skins when they heard a loud, roaring “whumph” and looked up to see the treed slope break and avalanche. They were near the top and within one switchback of each other. Two of the skiers were able to hold onto trees, and the other two were carried through thick trees and partially buried. The two that grabbed trees began a beacon search, and quickly heard groaning and yelling from the other two skiers. They located one skier, who was unconscious, groaning and partially buried against a tree. He stopped breathing and they performed first aid/CPR, but the victim died on scene. The other skier was carried and partially buried 200’ (estimated) lower and dug himself out. He sustained serious injuries. They were able to call 911 to inform authorities of the avalanche. The injured skier was air-lifted to emergency care. 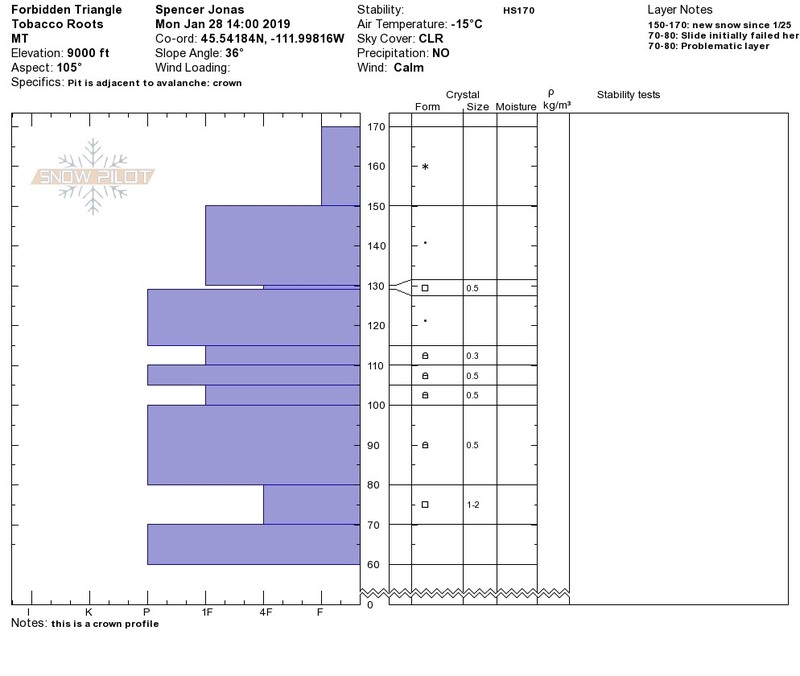 The avalanche occurred at 9,000’ elevation on an east-southeast aspect with a slope angle of 36-40 degrees. It was 1-3’ deep, 400’ wide and ran 1,100’ vertical. The avalanche is classified SS-ASu-R4-D3-O. This is the crown at it's deepest.